A small garden is such a nuisance when you don’t know how to optimise it. Tripping over chairs and plant pots, it’s hardly the picture of peace and relaxation. Not to mention, gardens are becoming smaller with new builds and flat demands. So the best thing to do would be to find furniture for small gardens that maximise your space whilst looking great. 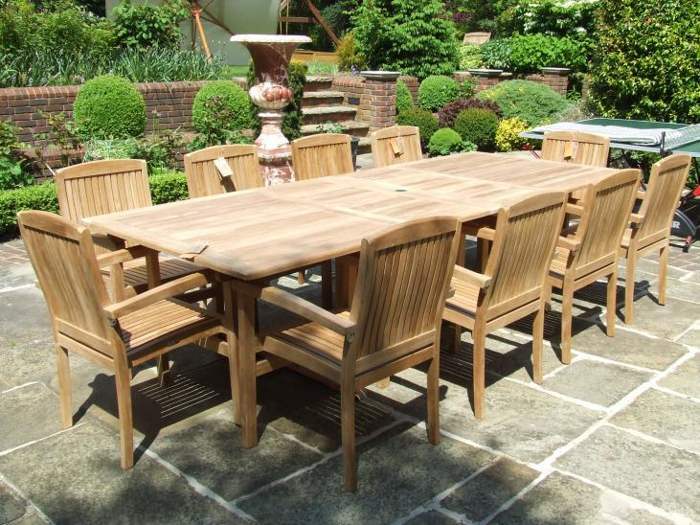 In this post Faraway furniture will take you through the best garden furniture for small gardens. What is the best garden furniture for small gardens? If you’re looking to buy rattan furniture but you don’t know enough about it – this post will answer all your questions. 2. 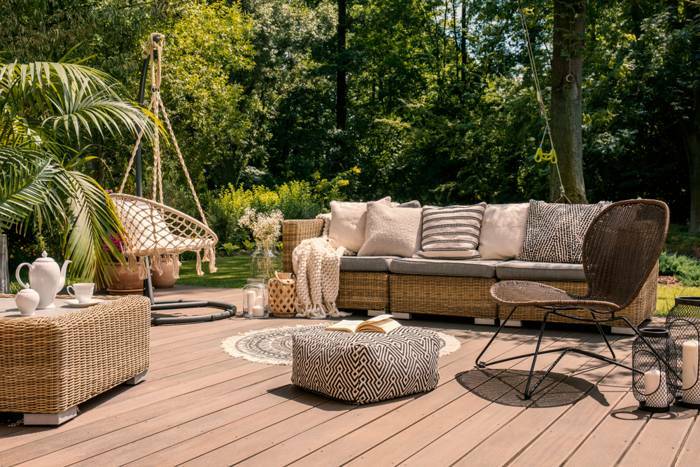 What is rattan garden furniture? 4. What is the best rattan garden furniture? With the right garden furniture, you can transform your outdoor space into an extension of your home. 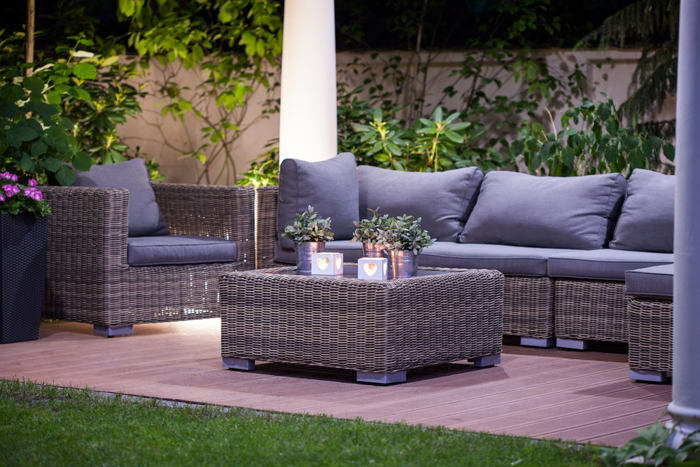 But, to get the most out of your garden space, you need outdoor furniture designed to fit your needs and the space you have at your disposal. Most importantly, though, the key is to make sure you are picking little to no maintenance garden furniture. For us Brits, we predominantly use our garden furniture through the spring and summer months, yet we often leave our garden furniture outside all year round. Despite this, we expect our outdoor furniture to be perfectly fine when summer rolls back around, but this is not often the case. Instead we are greeted by dirty furniture which needs some restoration work to get it back spick-and-span. 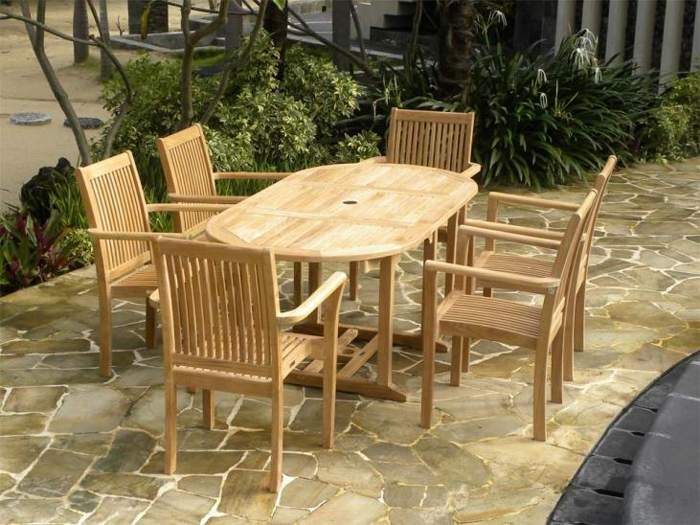 Thus, picking maintenance free garden furniture is highly advantageous. 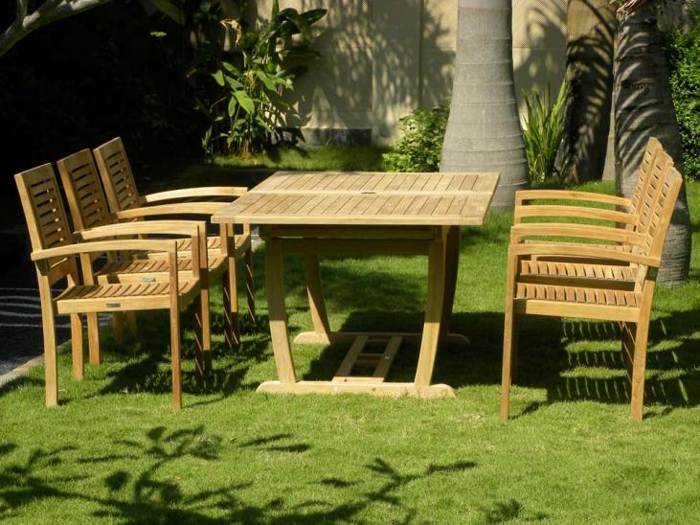 Everyone knows if you’re looking to buy a new set of furniture to deck out your garden with, then teak is the way to go. But with the popularity of teak growing, and hence lots of teak retailers popping up all over the place, you have to be careful where you buy from. To ensure that you’re getting the highest quality teak furniture, we’ve compiled a list of things you can check/look for in your set. If you want your furniture set to last (which of course you will do) then its construction is the most important factor. Poorly constructed furniture will just collapse/break and won’t do well in adverse weather conditions. A lot of retailers use bolts to put their furniture together, however if you see this, then stay well away! The problem with bolts is that they tend to loosen over time which not only compromises the teak but creates that annoying wobbling effect. You’ll have to replace the bolts which will cost you an unnecessary amount of time and effort. Instead, go to teak manufacturers who use Tenon joints to make their furniture; these will be more expensive however add extra strength and a better aesthetic finish. Plus, you won’t have to worry about lots of upkeep in the future. The finish on your furniture set will give you a good idea as to its quality. The higher quality the teak, the smoother and shinier it will be; you should be able to run your hand over the wood and not feel a single grain. The sellers of teak furniture should be passionate about it, and therefore happy to talk and answer any questions you may have showing high levels of knowledge and conviction. 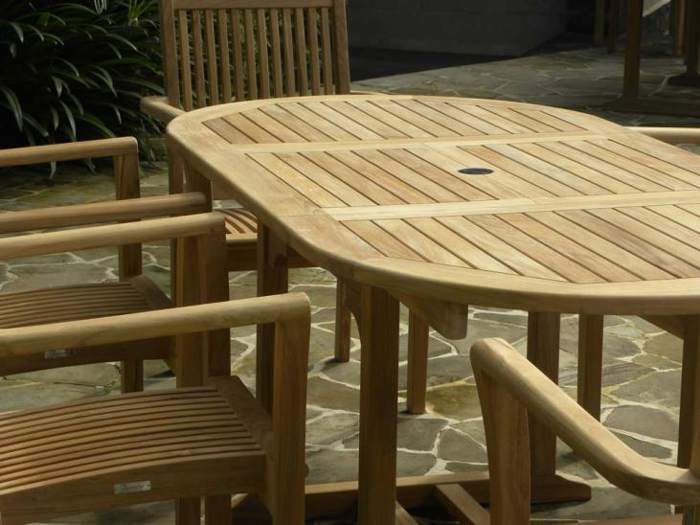 If the seller seems unsure, unwilling to answer questions or evidently doesn’t know what they’re talking about, then don’t be afraid to make your excuses and walk away – there are plenty of other teak retailers that will be able to knowledgeably direct you to the best set for your garden. 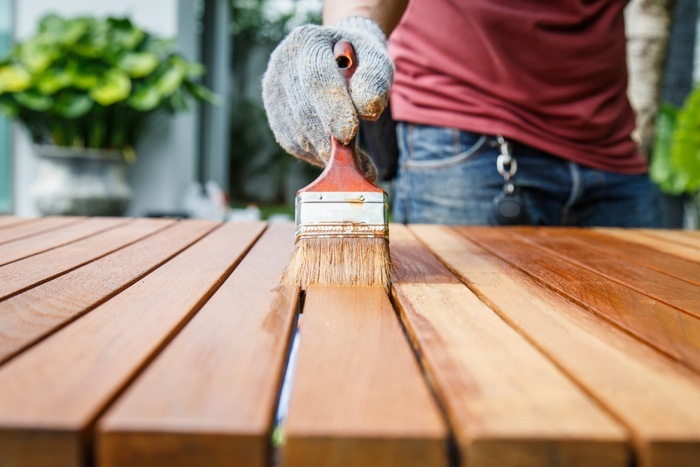 Following on from our last point, seller of high quality teak should be concerned with its maintenance, and should inform you of the best way to keep it looking its best over time. The reason why you should ask this question is because it is, essentially, a trick. 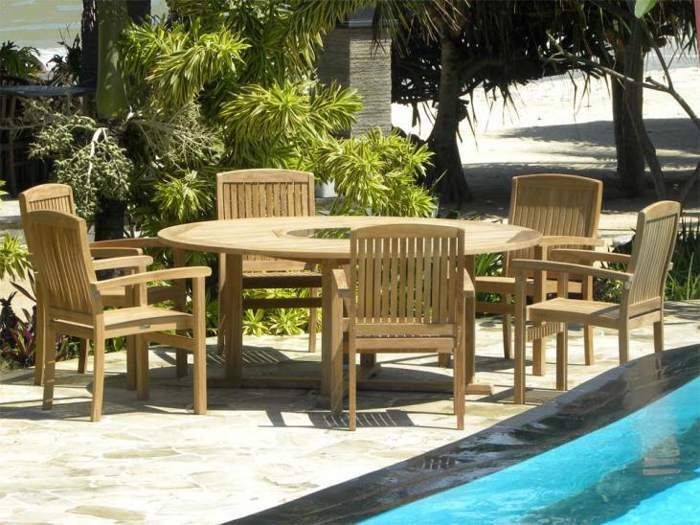 A truly passionate teak owner will know that teak requires no maintenance over time due to its high oil content and dense nature; the reason teak is so expensive is due to the fact it can be left outside in adverse weather conditions without the threat of cracking, splitting or losing its aesthetic finish. If your seller knows this, then you know you’re more than likely being shown some of the highest quality teak in the business. Use our guide and you’ll be well on your way to enjoying your new furniture set all summer long… good luck in your search! Summer is just around the corner and – come rain or shine – dusting off your old BBQ at the first site of blossom is an old British tradition. But before you don your ‘Grill Master’ chef’s hat and novelty apron, there’s a lot to consider. Throwing a killer BBQ is an art – and since you’re likely to be in competition with half your friends and neighbours as to who can throw the best grilled meat fiesta, we’ve put together a handy guide outlining everything from prime cuts and mouth-watering marinades to culinary condiments and delectable drinks that will ensure you BBQ goes off with a bang. 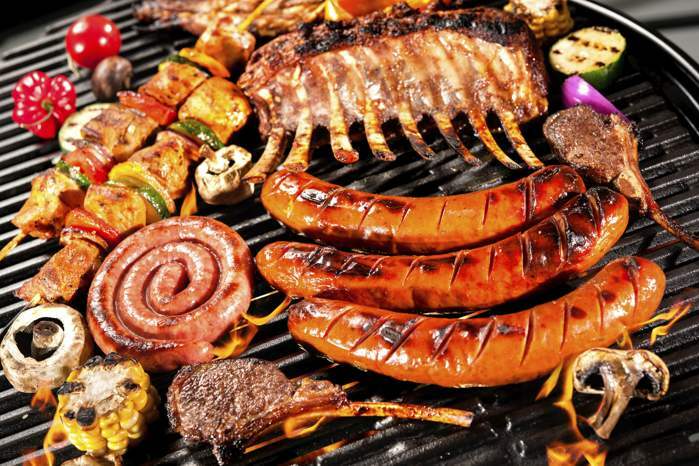 It goes without saying that a BBQ isn’t a BBQ without ounces and ounces of prime cut meat to get your teeth into – and the possibilities are endless. Although burgers and sausages are the classic BBQ party choice; chicken, steak, lamb chops, ribs and most types of fish work just as well, if not even better on the grill. For a crowd pleasing meaty marinate try placing soy sauce, olive oil, lemon juice, Worcestershire sauce, garlic powder, basil, parsley, and pepper in a blender. Add hot pepper sauce and freshly chopped garlic cloves, if desired. Then simply blend on high speed for 30 seconds until thoroughly mixed and slather all over your meat of choice before chucking it onto the barbie. Alternatively/additionally why not try something a bit different and opt for fish; BBQ grilled salmon teriyaki is a great combination, or tilapia coated in a simple salt, pepper, lemon and olive oil marinade is an easy yet seriously tasty option. After all, what’s Batman without Robin? Your delicious meats need some equally delicious sides/salads to keep them company on your plate. Fresh salads topped with cold lentils, chickpeas or butter beans and a dressing of lemon and olive oil go well with every type of meat and are light and summery, hence perfect for a BBQ party. Secondly, condiments are key! Ketchup, mustard, brown sauce, hot sauce, mayonnaise… to name but a few. Remember everyone has a different favourite, so try and get as many of the classics as possible, and if you want to be really great host include some low fat/sugar options for health conscious guests. If you want to go above and beyond the call of hosting duty, why not try making your own homemade ketchup? Simply purée tomatoes with juice in a blender until smooth. Cook onion and garlic in oil with 1/4 teaspoon salt in saucepan over medium heat, stirring occasionally, until the mixture has gone golden (this should take about 8 minutes) Add paprika, chilli, allspice, a pinch of cinnamon and half a teaspoon of black pepper and cook for one minute, stirring frequently, Add the tomato purée, tomato paste, brown sugar, and vinegar and simmer until very thick (should take around 45 to 55 minutes). Finally purée the ketchup in a blender until smooth and put in the fridge to chill for at least 2 hours. And there you have it, a deliciously little crowd pleaser that is sure to set your BBQ apart from the rest! 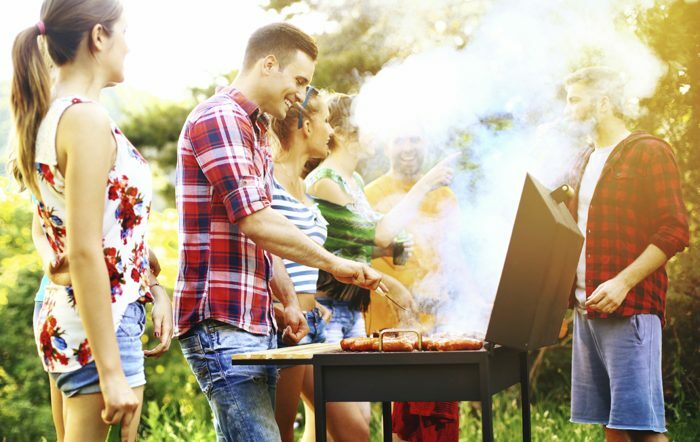 There’s nothing better than a chilled beer or glass of prosecco on a warm day – and a BBQ is the perfect opportunity to combine food, drink and great company. As aforementioned, beer and wine are always popular options (especially summery beers such as ‘Sol’ with a wedge of lime for good measure). For a more sophisticated take on drinks though, cocktails are always a good idea (we don’t know a single person who doesn’t like cocktails). 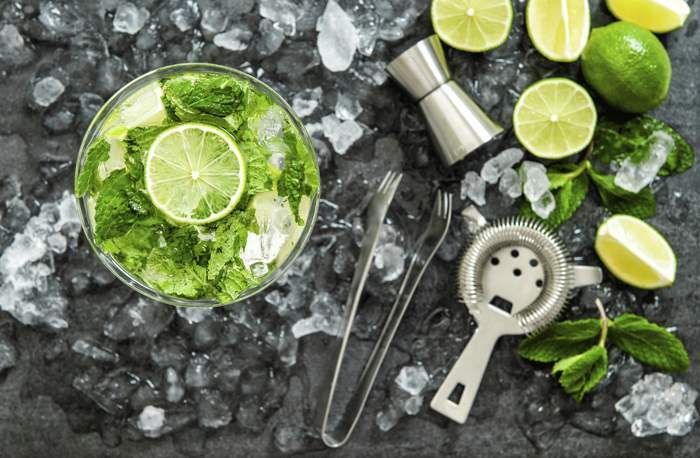 Popular spirits such as vodka and gin work well with almost anything – we suggest lemon juice, sugar, mint leaves and crushed ice for a tasty and refreshing summery beverage which is easy to make and even easier to drink! 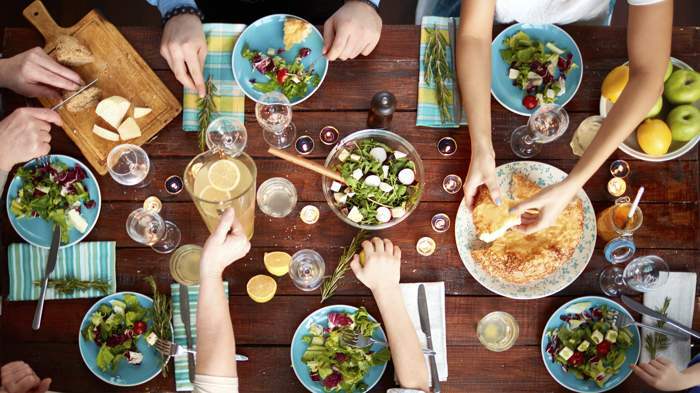 Not much can beat sitting around the table in the great outdoors with great food, drink and your closest friends; and a good quality table and set of garden chairs are the best place to start! 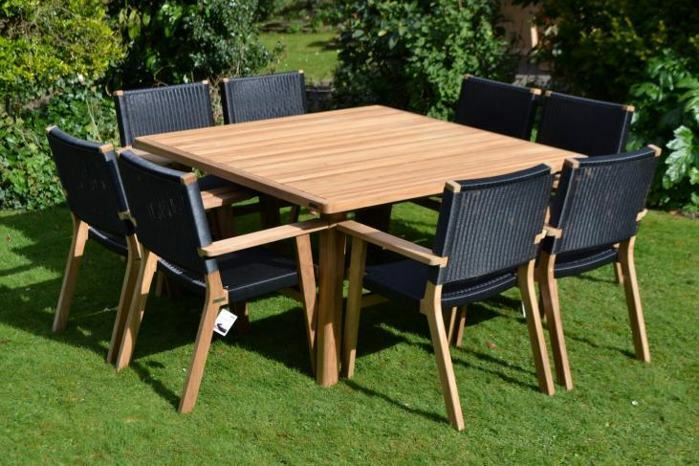 Teak furniture is well known as the best possible garden furniture you can get – not only does it look stunning, but it’s quality and hard-wearing nature mean you can leave it out for the entire period of winter with no damage. Here at Faraway furniture we have a variety of different styles and sizes to suit any family. Finding affordable furniture has never been easier, however, cheap furniture is typically made of poor quality materials which do not only show that the furniture is made cheaply but they also fail to withstand the effects of wear and tear, and have to be replaced more frequently. As a result, cheap furniture is typically the most expensive type of furniture you can buy. Aesthetically appealing furniture made of quality materials, on the other hand, is never inexpensive but just because you are tight on money this does not mean that you cannot buy quality furniture. On the contrary, you should never make any compromises when it comes to quality when purchasing furniture no matter how little money you can spend on new furniture because the only way to save money on furniture is to buy quality pieces which will last for decades or even your entire lifetime.